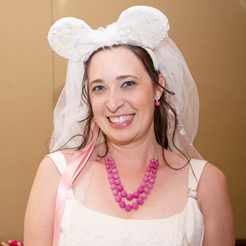 Planning your first visit to Walt Disney World can be overwhelming. So many parks, so many resort hotels…how do you choose? If you are vacationing during the humid Florida summer, you might want to consider picking a hotel with an awesome pool. Even if you plan to spend just half a day by the pool, you have to make sure it's fun for everyone! 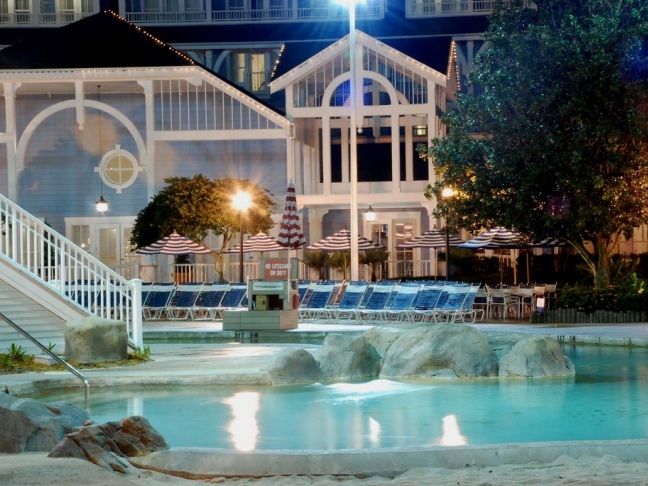 Each of the Resorts has an entertaining pool area, but these are my favorite Walt Disney World hotel pools for families (in no particular order). Each Resort pool has something unique to offer everyone, from little kids to teens to adults. Little kids will love splashing and playing with Nemo and friends at the Big Blue Pool at Walt Disney World's newest resort. The pool has underwater speakers playing music from Finding Nemo, and if you listen really closely you may hear some familiar voices. There is also the Schoolyard Sprayground with waterfalls and pop-up jets. 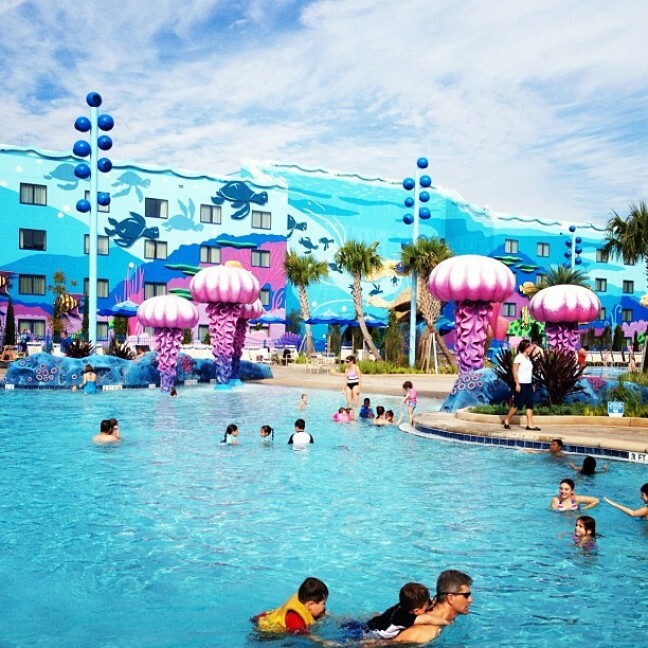 This very unique pool area is very popular, so you can also head over to the Cozy Cone Pool (inspired by Cars) or Flippin' Fins Pool (inspired by The Little Mermaid), which are generally less crowded. Let your little monkeys run wild at the Uwanja Camp, a water playground with water cannons and squirting flowers. Bigger kids will love the large water slide at the Samawati Springs Pool and the refillable mug soft drink station near the Maji Pool Bar. The Luna Park Pool is a carnival-themed recreation area, with a coaster-facade waterslide and elephants spouting water from their trunks. If you can get over the giant creepy clown face that looms over the pool, this is a great spot for kids. And if you need just a little help getting over it, there's a carousel shaped bar nearby. 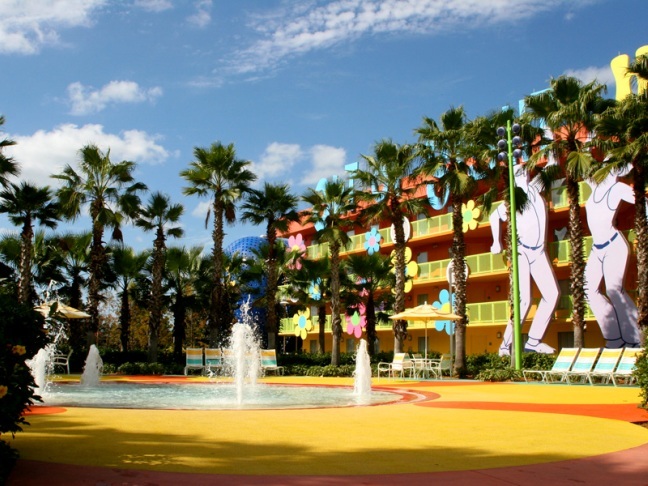 This colorful Hippy Dippy Pool area features water jets disguised as flowers, a pool just for little kids, and family friendly 1960s music. Families can play a round of ping pong or grab a frozen beverage (alcoholic or non) at Petals Pool Bar. At night, Disney movies are shown on the big screen by the pool area. Kids will also like jumping around on the giant keyboard in the 1990s themed Computer Pool area. If you have little kids who are into baseball, there's no better pool than the Grand Slam Pool at Disney's All-Star Sports Resort. Aside from the baseball diamond shaped pool, in the middle on the pitcher's mound stands Goofy…a statue of Goofy, that is…ready to "pitch" steams of water at swimmers. This fun Mardi Gras themed pool, called Doubloon Lagoon, features instrument-playing gators and a giant sea serpant whose tongue forms a waterslide. It's not every day your kids can say they slid down the tongue of a sea serpant. 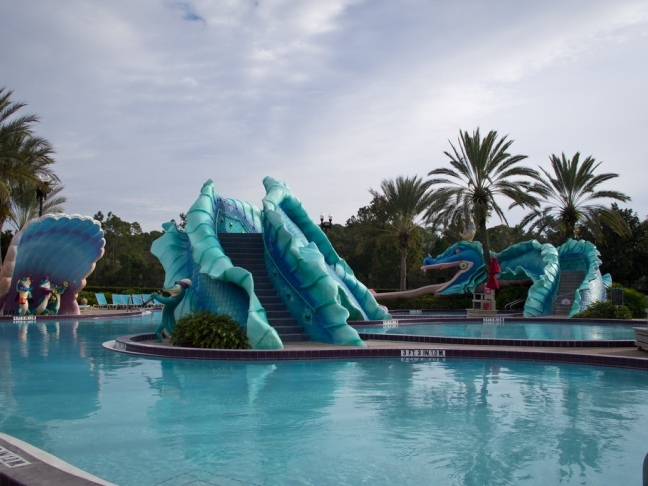 Stormalong Bay is popular with kids and adults of all ages, with its explorable shipwreck, sand bottom pool, and tall waterslide. There's a splash pool for the littest kids and a lazy river for the teens who are too cool to "play." Adults will enjoy the peaceful, beach-like surroundings. 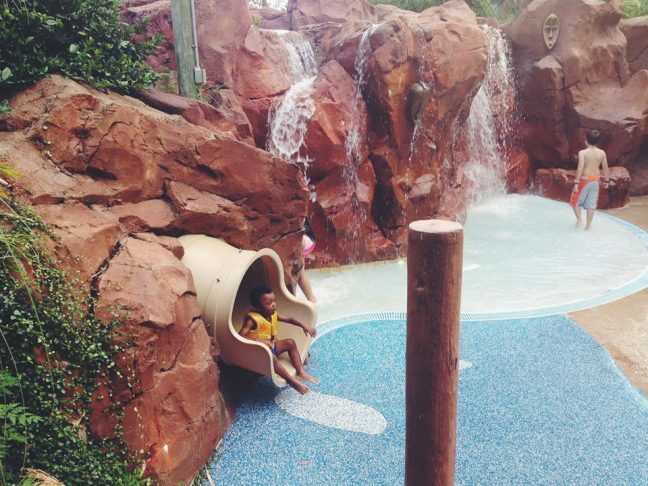 It's no wonder this is one of the most popular recreation spots at Walt Disney World.